I've had more compliments - it was totally worth the effort. 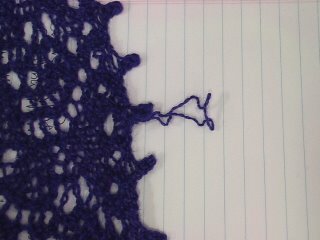 Am I ready for Orenburg or cobweb lace? Yes, no, Yes, No! Yes!!! Oh Jeannie. Your shawl is just beautiful and what a terrible thing to happen! I hope my icarus shawl turns out just as well.